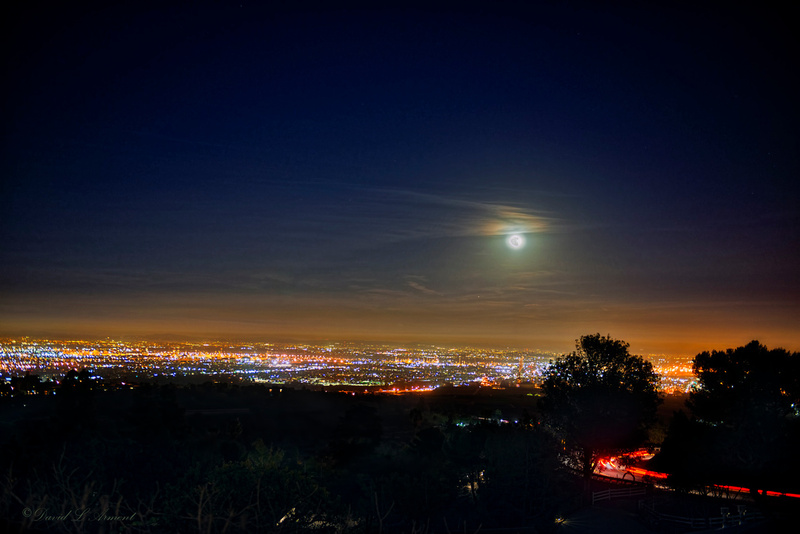 A full moon shines over the LA basin. Point Vincent Lighthouse at night. California Coast February 2018. 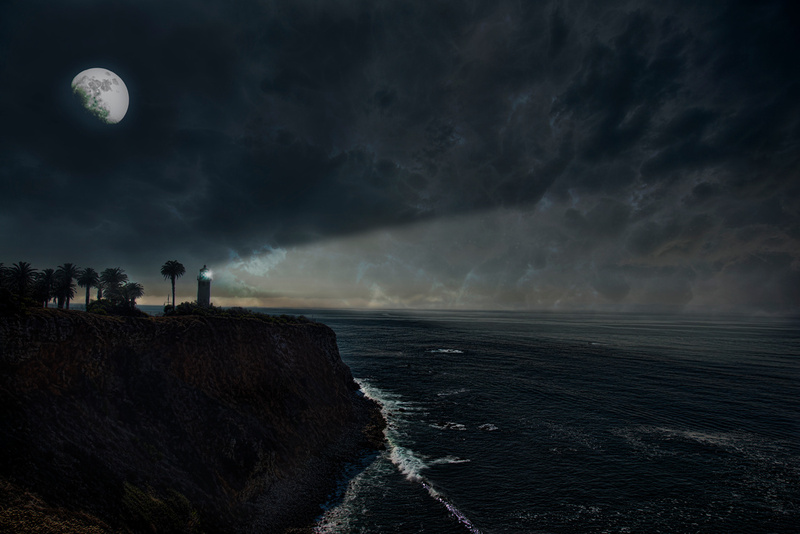 This is a highly artistic rendering of a lighthouse that has likely not had a light on for some time. Fun to do and it turned out okay.